It was a matter of time before Fuji Spray®, a world leader in HVLP turbine spray equipment developed a compressor spray gun. The MPX-30™! 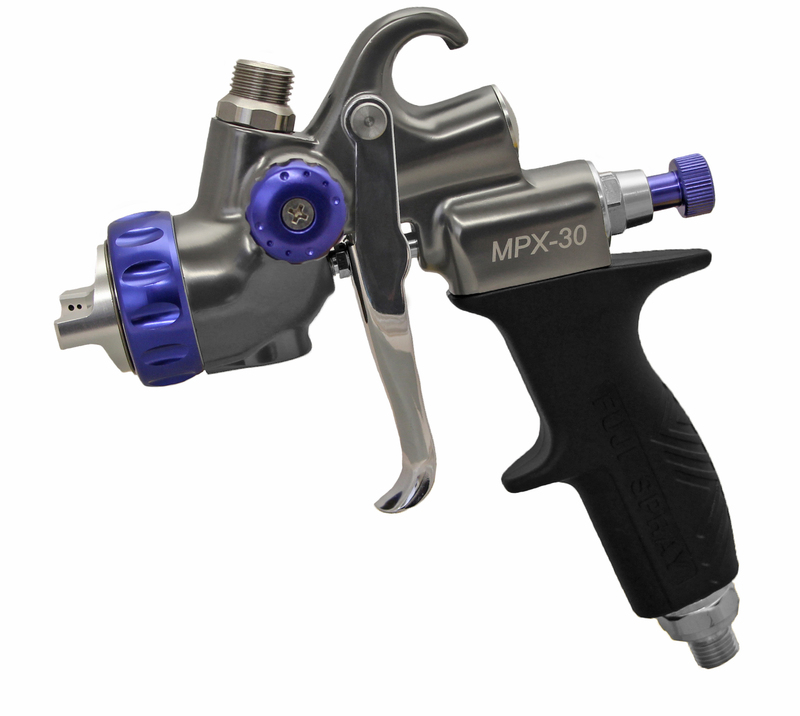 The MPX-30™ is a Mid Pressure (mp) compressor spray gun also known as reduced pressure (rp). 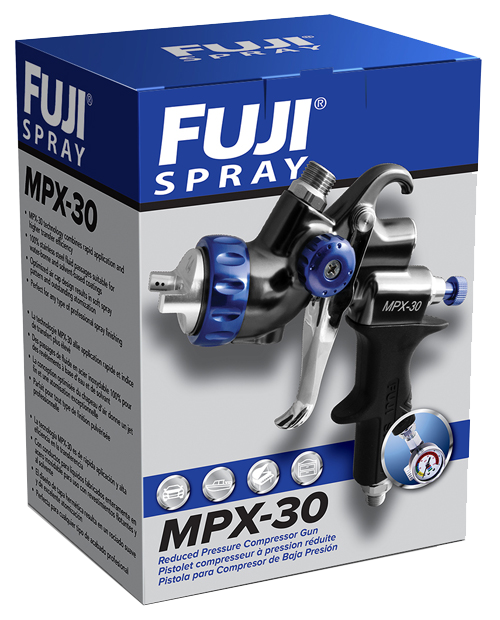 Delivering a high transfer efficiency rate, faster application speed, and higher atomization levels, the Fuji Spray® MPX-30™ will be the preferred spray gun in your shop!